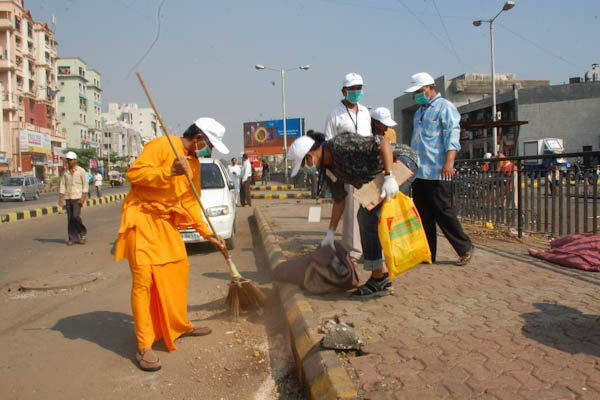 Mata Amritanandamayi Math, Nerul, Navi Mumbai organised a cleanliness drive in Nerul West to create social awareness about humanity’s debt to earth and nature. Ashok Gawde, Navi Mumbai Municipal Corporation, Dinesh Vakrute, food inspector Navi Mumbai Municipal Corporation, and Dr. I.C. Dave, Rtd Scientist BARC, participated in the program. Dr. Dave said the perfection is achieved as per Amma’s perception only when internal and external cleanliness is perfected. 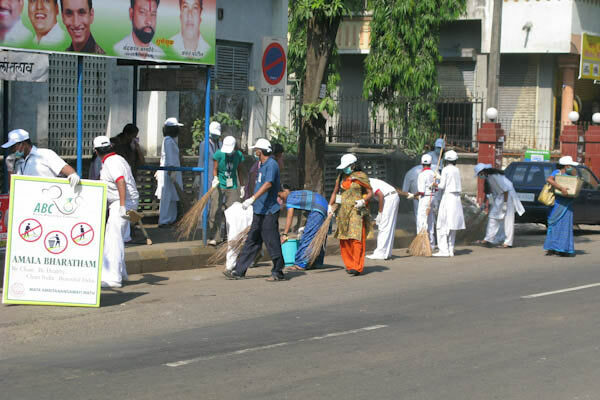 Ashok Gawde and Dinesh Vakrute offered full support for the program from Navi Mumbai Municipal Corporation. 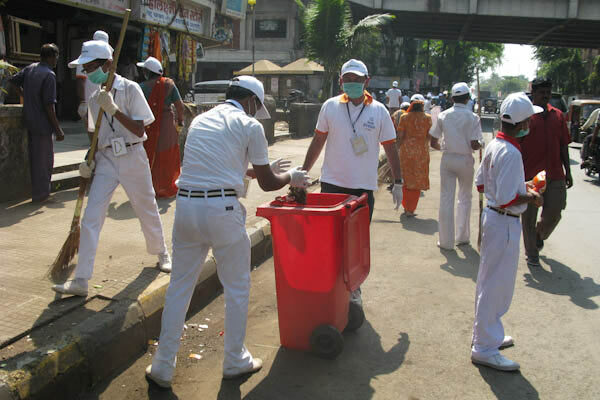 Over 200 students of Amrita Vidyalayam, their teachers and parents, Amrita Yuva Dharma Dhara volunteers and the public happily took part in the cleaning drive. 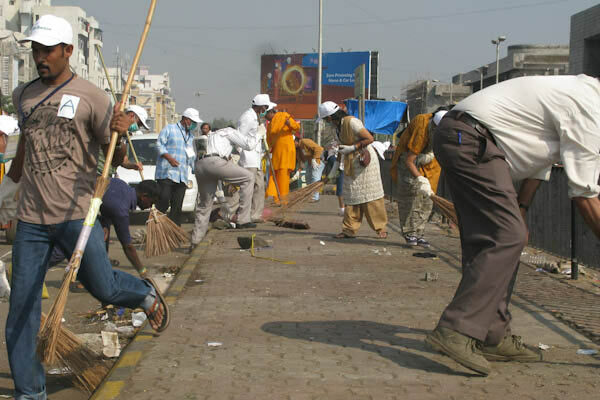 Volunteers started cleaning work in 4 groups from Nerul West up to Juinagar and in four hours a stretch of 3 and half kilometer was cleaned beyond imaginable status.